← interestingly engaging tale that captivates the reader and keeps us wanting to know what is next…. This is the wrap up of a story that centers around a Domestic Violence Case Worker…. 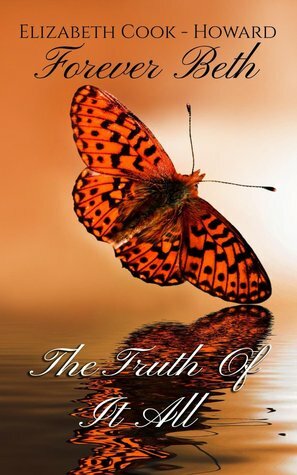 Forever Beth the Truth of It All is the last installment of the Forever Beth Series. This cannot be read with reading the others and could have been combined with book two in my opinion. This is the wrap up of a story that centers around a Domestic Violence Case Worker, the brutal murder of a mother and her six year old daughter and a New York City veteran Detective. It tells hen transcends into a tale of the woman that is packed with suspense, danger, love, mystery, growth and one head-headed lady. Elizabeth “Beth” Morris is a Domestic Violence Case Worker from New York that is thrown in an abyss when two of the most important people in her life are murdered. These two aided in her climbing out of her own tragedy which was filled with abuse of all kinds, meretriciousness, extreme loss and almost her death. Also, they aided in her learning the deep capacity of love and how to give and receive it. Because of the murders, she meets Detective Kevin Walker under extremely less desirous circumstances. He is very patient, understanding and caring towards her as his life has been hugely impacted by tragedy too. Detective Walker gets further involved with her while working to solve when danger lurks around her and her past resurfaces in her present. We get to witnessed dangers, struggles, growth and someone who stays getting in her own way. We also witness their love growing then fully blossom. Now, he is not only doing his job, but is also protecting his wife and child. As we take the journey that is full of twist and turns that come about primarily because this is one hardheaded woman because of her completely independent spirit, we see the unveiling of who killed Rosie and Rosa, why and other things that they have done. As the story is wrapped up and all exposures are made, we then learn how/why Detective Walker was able to stay so patient, steadfast and determined. He loves this woman! There are times when the dangers that erupt are heart pounding and just keep coming and coming. The twist and turns were wonderfully penned; one would think that they have the story figured out then “bam” it changes on a snap. Mrs. Cook-Howard has a great story here, it needs to be cleaned up and edited, as it is a hard and at times confusing read. There are numerous times where you have to read something twice or even three times to understand it. I read all three and as a package, it is an awesomely engaging story! !